I made friends with fellow "hungry girls" and LOVED getting to know them! I cannot tell you how much FUN we all had: dancing to live music at B.B. King's Blues Club, getting to know each other over dinner (Holland America has THE best food, and they served Hungry Girl entrées! ), deck-walking to burn calories, and relaxing on the insanely beautiful beaches of the Caribbean! I got to enjoy one-on-one time with Hungry Girl fans. 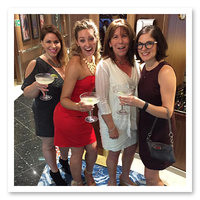 At most Hungry Girl events, I only get a few minutes with each person... but on the Hungry Girl Cruise, I had DOZENS of opportunities to chat with each and every person! 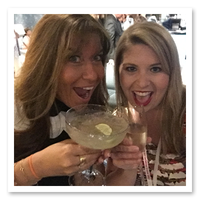 There was the sail-away party, the cocktail party, the book-signing event, dancing, eating, relaxing at the pool, and more! One of the highlights: the VIP party! I left knowing the experience made a real difference in the cruisers' lives. 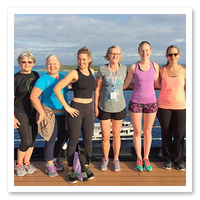 The goal of the cruise is for you to learn how to lose the weight and keep it off for good. (And to have a ridiculously amazing vacation, of course!) I wanted to show everyone that it's possible to enjoy food and enjoy life while maintaining your weight. The energy was electric! From the panels to the presentations, I could tell people were really GETTING it. 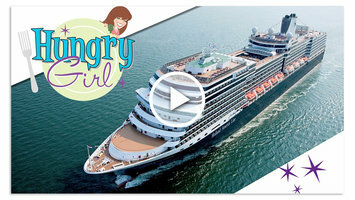 And I've heard from tons of fans that the Hungry Girl Cruise was a true turning point in their weight-loss journey. I can't wait to do it all over again! Need more convincing? 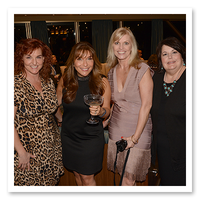 Check out this video from the last Hungry Girl Cruise! Then book your spot, and give yourself the gift you know you deserve. See you next April! Today, June 28th, is International Caps Lock Day. Guess this is as good a time as any to tell you to GO ON THE HUNGRY GIRL CRUISE! 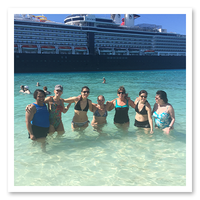 Start planning your cruise vacation with your closest pals... Click "Send to a Friend" or forward this now!